A dwelling in Farm Heights, St James on fire on Friday afternoon. 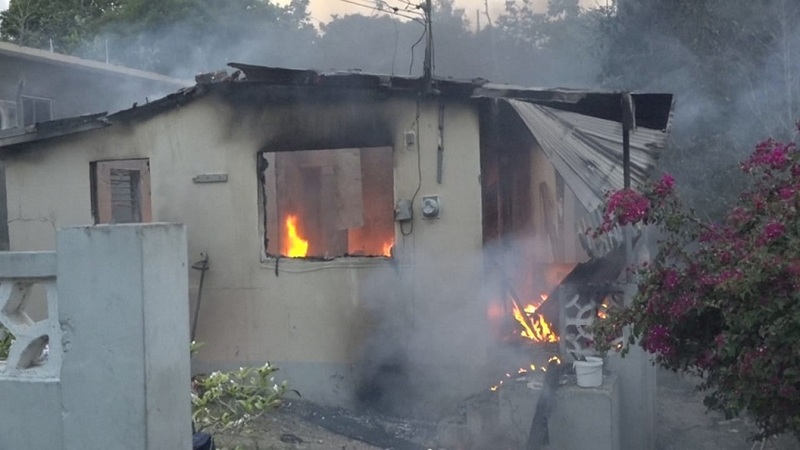 Five children are among 10 persons who have been left homeless following a fire of unknown origin which gutted a seven-apartment concrete structure in St James on Friday afternoon. 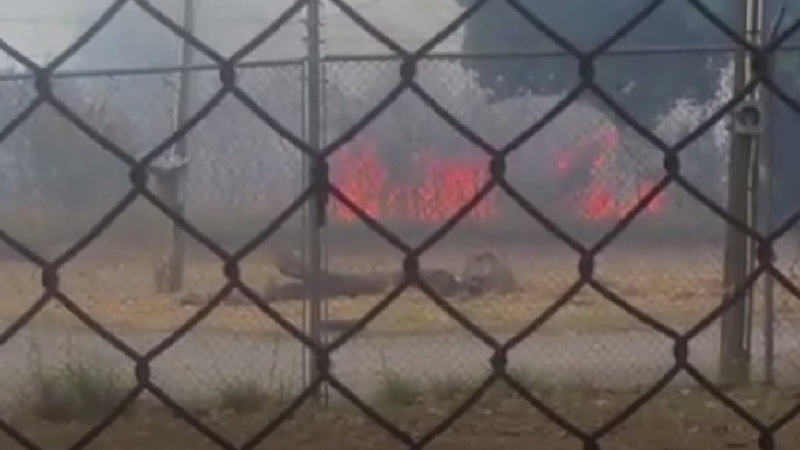 Reports are that about 5:35 p.m., the St James Fire Department received a call that a house was ablaze in a section of the Farm Heights community in the parish. With units from the Freeport and Ironshore fire stations in St James being then unable to respond because of mechanical problems, it was a unit from the Lucea Fire Station that was on the scene of a motor vehicle accident in Hopewell that responded. The firefighters managed to bring the blaze that had by then engulfed the building, under control and carried out cooling down operations. 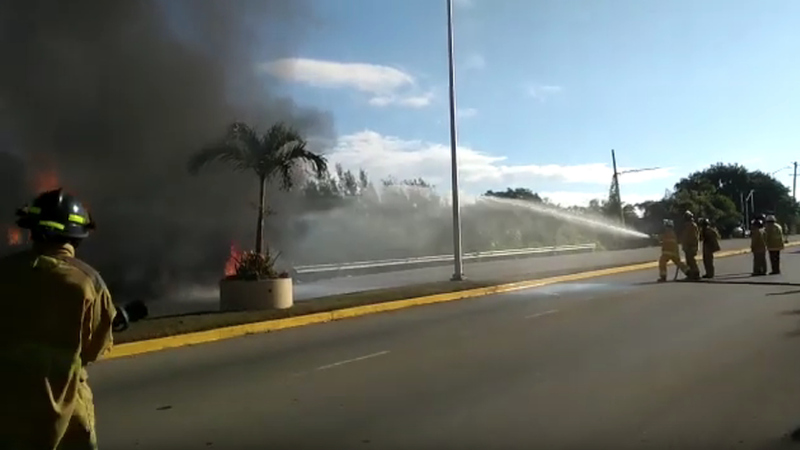 Personnel from the St James Fire Department are now carrying out investigations to determine the cause of the blaze and an estimate of the damage. Residents are charging neglect by the St James Fire Department, but brigade representatives explained that when the call came in, both of the department’s pumpers were out of service. Reports are that the units at Ironshore and Freeport had developed mechanical problems, for which have been undergoing repairs. It was outlined that efforts were made to use a water tender, but that unit had a portable pump which does not generate sufficient flow for firefighting efforts. 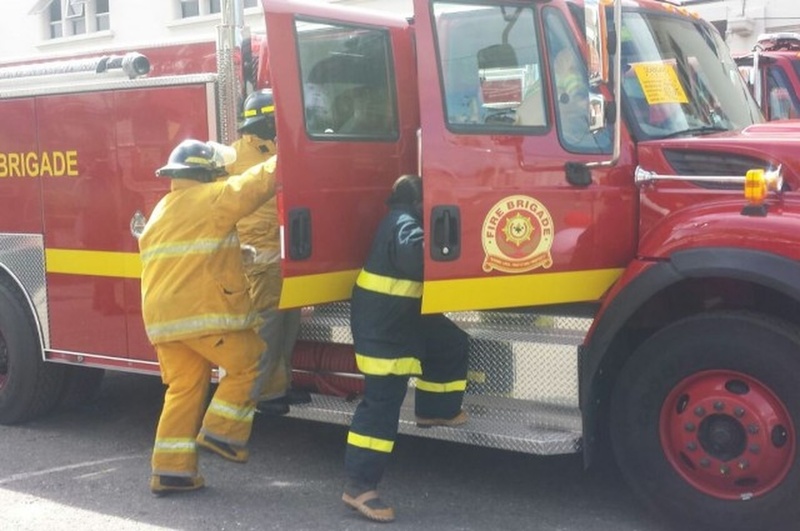 The brigade representatives said help was then sought from Lucea, from where a team that was already on the road, responded.